Stewart Brand sent me this link to one of the nicest web clocks I have yet seen. Make sure you do click through as the image above does not do the animated form justice. 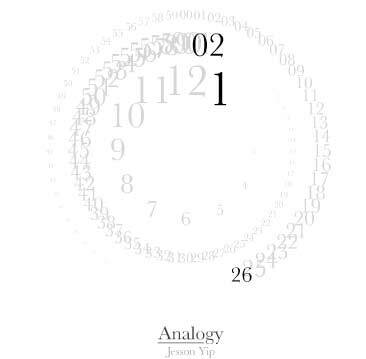 It is called Analogy by Jessson Yip.